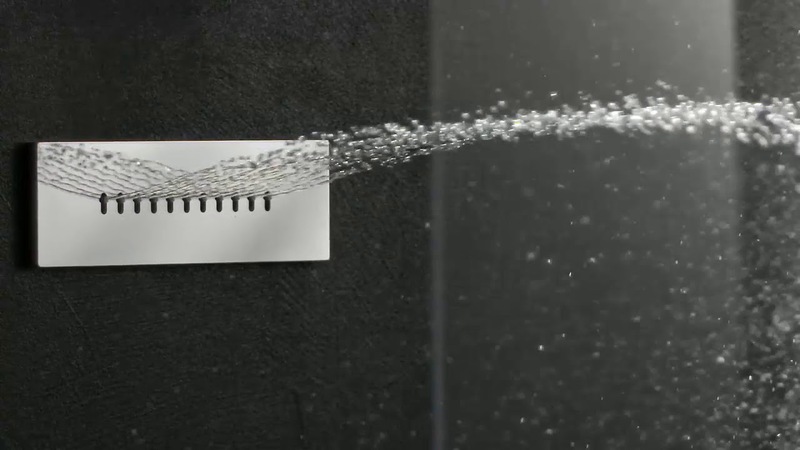 Another stunning and innovative new idea from Aquatica, the Wave Body Shower provides a shower stream with its own built-in wave-like undulation to create a sensuous, directionally moving cascade of water that ripples down over your body. 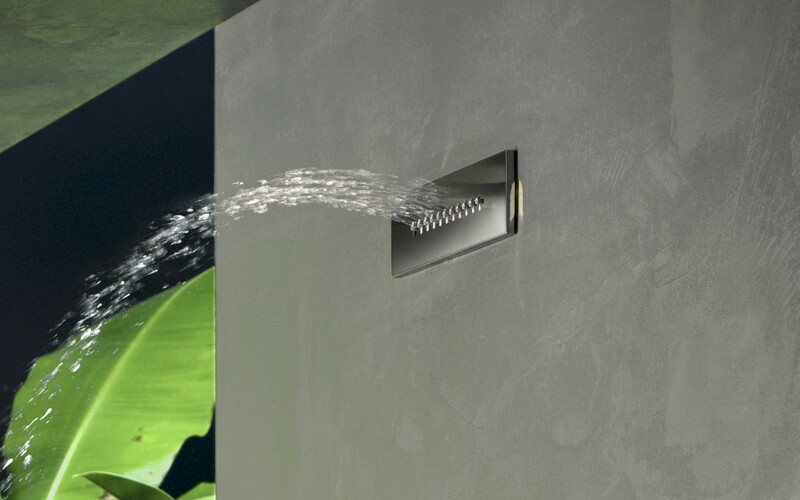 The outward simplicity of the contemporary rectangular design – sleek edges, clean lines and minimalist detailing in stainless steel - includes 11 nozzle jets which pivot within a 0 to 30° downward angled range, to produce the cascading effect of the shower head. Model A should be mounted at a minimum height of 1.6 metres over the floor for you to enjoy the full effect of the rippling water flow. Taking its inspiration from nature, this new cascade body shower will gently soothe and cleanse your cares away.